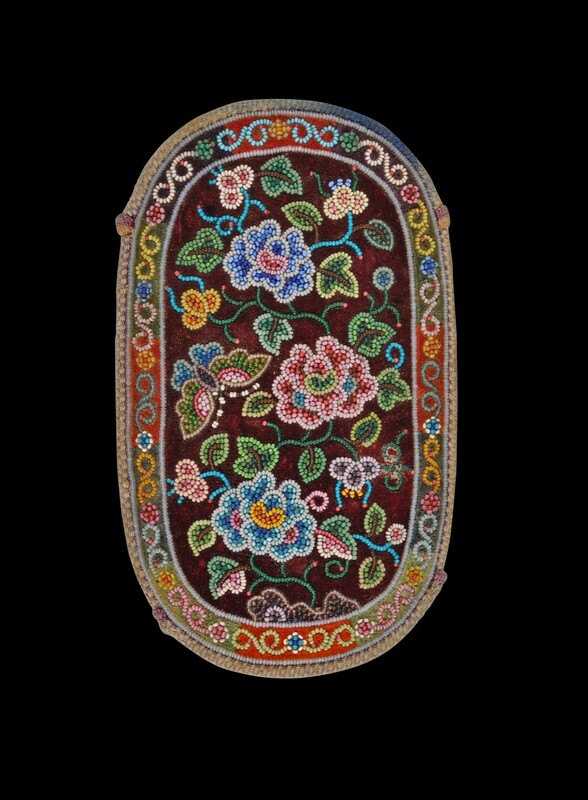 This beautiful case has stiffened sides that are covered with dark velvet on both sides which has been finely beaded with flowers and butterflies. 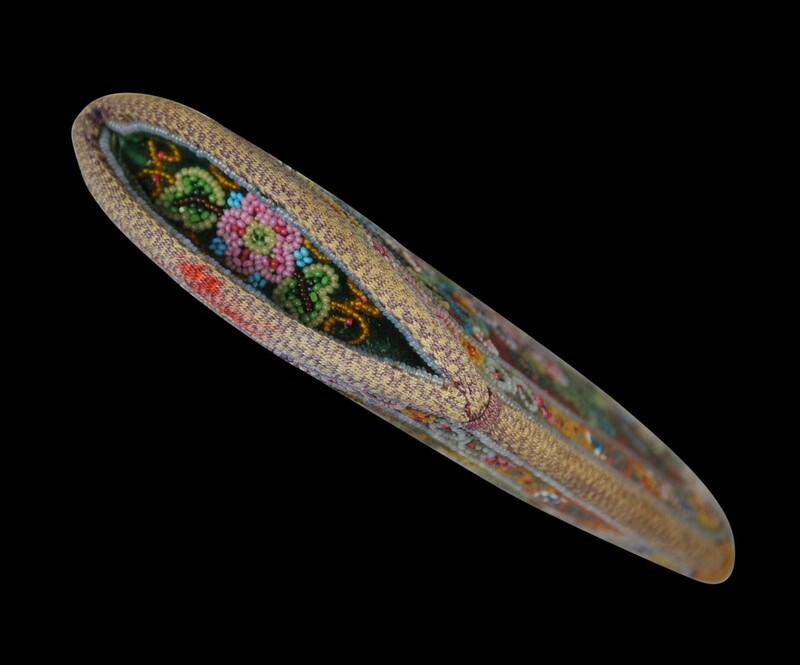 The example is unusual because of its oval shape. It is from the Straits or Peranakan Chinese communities of either Sumatra or the Straits Settlements of Singapore, Penang or Malaysia. 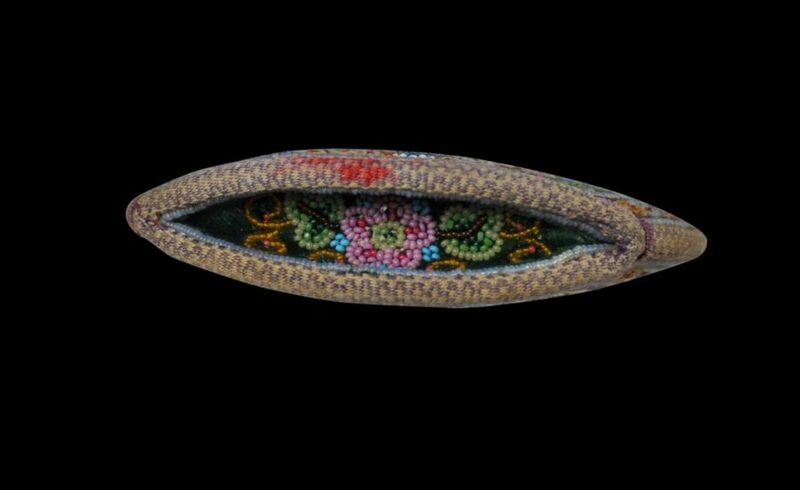 Rocaille beads were made in southern France and were widely used in Singapore and the other Straits Settlements for beading slippers, wedding pillow ends, betel set mats and other paraphernalia associated with baba/nonya culture. 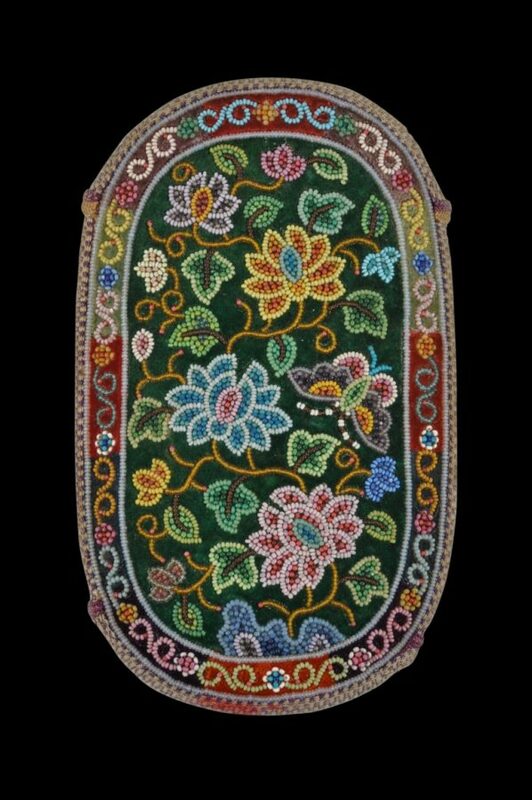 The Straits Chinese referred to the beads as manek potong (‘cut beads’) and acquired them from street peddlers and specialist merchants for the purpose of beading and embroidery. Similar cases ascribed to multiple purposes are illustrated in Tan (2010, p. 38), Ho (1987, p. 78), Ee (2008, p, 84-85) and Cheah (2010, p. 243 & 331). Tan, H., Sumatra: Isle of Gold, Asian Civilisations Museum, 2010.